In general, memorizing basic division facts come easy for many children. However, understanding division concepts, like the relationship between division and multiplication, is an entirely different story. Some get confused by them, and it’s up to parents and teachers to help them get a grasp of such essential mathematical concepts. To help you out in that regard, here are some tips to get you started. You may need to have a talk with your child’s maths teacher before anything else. You need to know what level your child is at as far as division concepts are concerned, and how it stacks up to the Common Core State Standards for 3rd grade math. This is very important, because the division concepts laid out by these standards are typically included in the standardized tests that 3rd graders are expected to take. Activities have always been an effective way of teaching a child anything, division concepts included. When teaching kids these concepts through activities, we recommend that you use food like candy, nuts or raisins, because they seem to like things that way. 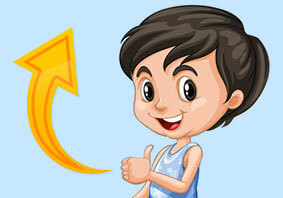 Here’s a sample activity: Take 16 candies and have your child divide them into equal groups. Tell your child to divide them into either two groups of four or four groups of two. After your child performs the task, talk about how he/she did it. Once the process has been clearly defined, write it down as a division problem and show your eight-year-old how it’s done. As with most lessons, repetition is key to mastering the process. Have your child repeat the activity with other numbers like eight and ten, and his/her understanding of division concepts will become better. As you already know, division is just multiplication in reverse. That is one division concept that many children have a hard time grasping, and that’s why teaching them division and multiplication at the same time is ideal. To make your child see the relationship between the two, give him/her a multiplication problem, say, 4 x 3 = 12, and show the child how to do it backwards, as in 12 ÷ 3 = 4 and essentially turn it into a division problem. More often than not, children who have already mastered multiplication tables find it easier to understand division concepts. Right now, the biggest resource parents can use to teach their kids division concepts would be the Internet. There are countless videos that teach the topic, and they are often presented in a manner that is interesting to children. 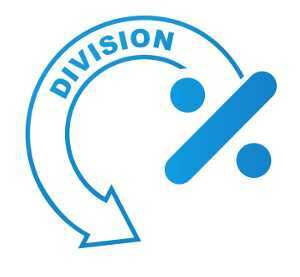 To make it even easier for your child, the Internet is also home to many useful division games and activities designed to help your child visualize division problems. If your child still finds it hard to grasp division concepts despite your own efforts, perhaps you should take hiring a private elementary maths tutor into consideration. There are also local learning centers that could help out in that regard. Multiplication – Is 5 x 3 not the same as 5 + 5 + 5? This entry was posted on Wednesday, April 30th, 2014 at 9:20 am	and is filed under Features. You can follow any responses to this entry through the RSS 2.0 feed. You can skip to the end and leave a response. Pinging is currently not allowed.